Perhaps that televised meeting of President Noynoy with the Disaster Risk Reduction Management Council meeting yesterday erred a bit on the showbiz side. To be perfectly fair to Noynoy, the media made a meal of his smiling rebuke of PAGASA. Nasermunan. Lambasted. Berated. These were the words media used to describe Noynoy’s statement to PAGASA Officials. “This is not acceptable. I hope this is the last time that we are all brought to areas different from where we should be,” was what the President said evenly, albeit his face seemed to contain what looked like – at least, to me – a slightly threatening smile. Since I seem to have gotten into the business of offering unsolicited advice, might I be allowed to add that the rebuke – mild though it might have sounded – would have been better served had it been done away from the lights of the TV cameras? In all honesty, Noynoy looked the part of a Chief Executive who was in control of himself and the situation. Kayâ lang, the meeting had the look and feel of a whodunit that had an answer right on the title page. Kasi naman, it’s not exactly unknown that PAGASA has been begging for some attention for sometime so it could get its hands on some of the latest technologies required to help the agency improve its forecasts. So, any fingers pointed by government at PAGASA ultimately end up bent and pointed backwards to government itself, whoever the incumbent may be. Whether it’s P-Noy or PGMA before him – or any other President before them – the fact remains that disaster preparedness ought to have been – and ought to be – top among the priorities of any government agenda. For starters, the country is very much within the so-called Pacific Ring of Fire, an area of the globe which contains no less that 75% of the world’s active and dormant volcanoes and which – needless to say – has more than its fair share of earthquakes and volcanic eruptions. If that isn’t spine-chilling enough, the archipelago is also very much within a typhoon belt that starts in the South Pacific islands and ends up in the continental Asiatic mainland. Tropical systems are born somewhere in the South Pacific and invariably end up spinning NNW into Northern Luzon or – late every year – due West into the heart of this country. We, who live in this country, know that tropical disturbances are an annual fixture during what we simply refer to as the rainy season. We also know that some simmering volcano is bound to let go of its anger every now and again. On the premise alone of these things that every Pepe and Pilar already knows, anyway, shouldn’t government – regardless of who is President – insist that disaster anticipation, preparedness and management be built into each and every developmental program it undertakes? 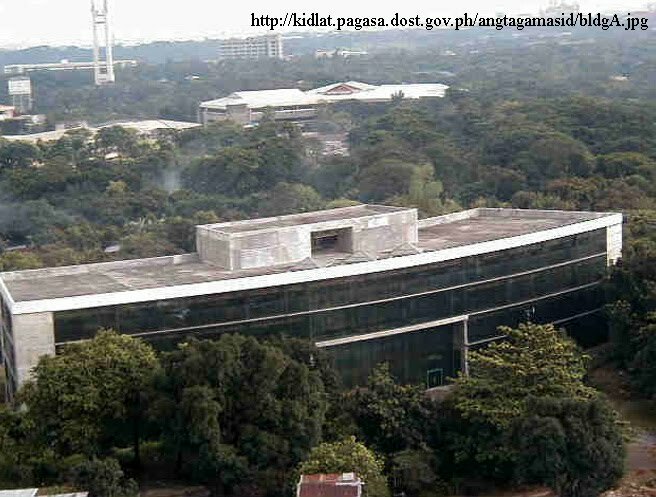 Staying with the same premise, shouldn’t government ensure that – of all its agencies – PAGASA and – to a lesser extent – Philvocs are the ones who should have appropriate funding so that their equipment is reasonably up-to-date and the forecasts they release are reasonably accurate for disaster preparedness and management to be based upon? No less than the President himself emphasized the need for accurate information; yet, when asked if the PHP 1 Billion that PAGASA needed to upgrade its equipment was to be made available, his response was that he would have to consult with the budget committee. At least, that was what the papers reported. Fair enough! I can live with that! To arbitrarily have budget transferred from one account to another is not acceptable even in small organizations, let alone government. To do so would also be tantamount to tyranny, which we say we do not have. Shall we all turn our eyes, then, on PGMA? But she can ask the same question of Erap; and Erap of Ramos; and Ramos of Tita Cory; and so on and so forth till we all collapse from the sheer monotony of it all! For PAGASA to perform as it was intended, it needs good people and good equipment. I am in no position to judge the staff the agency currently has; albeit, I am a regular at their web site and regularly read their updates. Forget what the sensationalist press often has to say about the agency! The truth of the matter is that, by and large, the agency gets most of its forecasts reasonably correct. Now, of course, there is the occasional banana skin slip. Ondoy comes to mind as a recent example; and how nobody in the agency saw the gallons upon gallons of water that Ondoy carried with it, I cannot – to this day – begin to understand. I mean, as a weather observer, I will be the first to say that I am strictly in the Amateur Wannabe category. Yet, from PAGASA’s own web site, I could see this big red blob that was fast approaching the country about the same time last year. To my amateur wannabe mind, that definitely looked like rain – gallons upon gallons of it! And now, Basyang… I thought the PAGASA Administrator was being cheeky when he told the press that he thought the President was just trying to ascertain what the agency needed so it could deliver the goods. So, in that ngunguto-nguto manner, he made it known to all who cared to listen that the agency needed about a billion to upgrade its equipment! Now, back to my earlier point… Information from PAGASA is based on equipment; its equipment is based on technology. Technology evolves, and – therefore – equipment has to be periodically upgraded. Every piece of equipment, from the moment it comes off the factory line, has a designated lifespan. Therefore, the date of its upgrade is very, very predictable. This next question, I ask of every President who failed to recognize the need to have the necessary budgetary allocation approved: WHY? Ay taon-taon nama’y bumabagyo eh!!! Kai-kainaman din naman-naman!!! This is not to say that accurate information from PAGASA immediately removes the disasters similar to those brought to the country by Basyang. 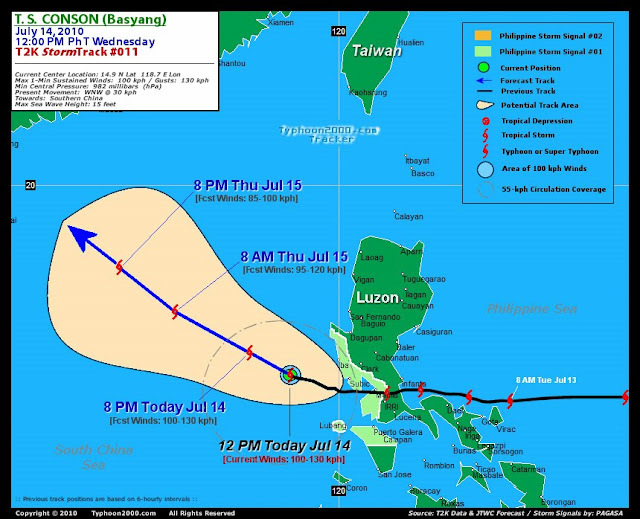 Now, supposing PAGASA’s predictions have come to the point that deviations from its forecasts have become negligible. That information is shared to the general public and it is up to mass media to disseminate the information. So the radio announcer dutifully airs the periodic announcement; may radyo baga sa barong-barong? Even if there is a radio, napakinggan baga? Even if the announcement was heard, alam baga ng may arî ng barong-barong na babagsak ang punong katabi? And if they knew the tree was gonna fall, may malilikasan baga? This is not to completely exonerate PAGASA from blame, because the simple fact of the matter is, if you go into any profession, there will always be certain expectations that come along as hazards of the job. In all honesty, there have been a few occasions when the forecasts of Typhoon2000.ph turned out to be more accurate than those of PAGASA. I should know! I monitor both their web sites! And from what I understand, the administrator of Typhoon2000.ph is just a hobbyist weatherman! 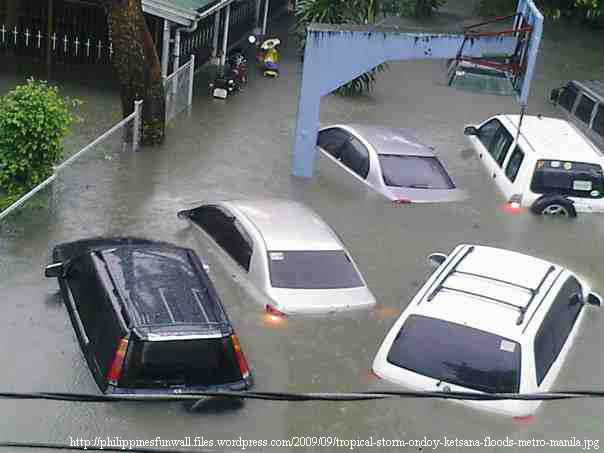 Back to Noynoy’s televised council meeting, all I can say is: take it easy on these guys at PAGASA. They do try to do their job; with whatever ageing equipment they continue to depend upon. Granted that Noynoy’s rebuke was really mild-mannered, delivered in a way that I respected him for. Yet, if he is looking to deliver credibility, he is not gonna do it with a Hey-I’m-the-President-yah-better-do-yer-job televised declaration. The first question he has to deal with is not if the budget committee will reallocate some funds for equipment upgrades. Instead, the question is how serious is he – and his government – in addressing the quite obvious needs of the agency as already expounded upon earlier in this story. If – and when – the necessary equipment is acquired, then the next obvious question is, “Do agency personnel have the capability?” If – and when – they are given the necessary skills upgrade, there is still another question to be asked. Are they properly remunerated? Because if they are not, they will migrate to some First World country where their forecasting skills are not only similarly needed but where they will not have to carry the stigma of being everybody’s favorite scapegoat. Hay naku! This has gone on long enough! I will just sign off by saying that even the acquisition of the most sophisticated equipment does not guarantee we will ever be spared from Nature’s wrath. 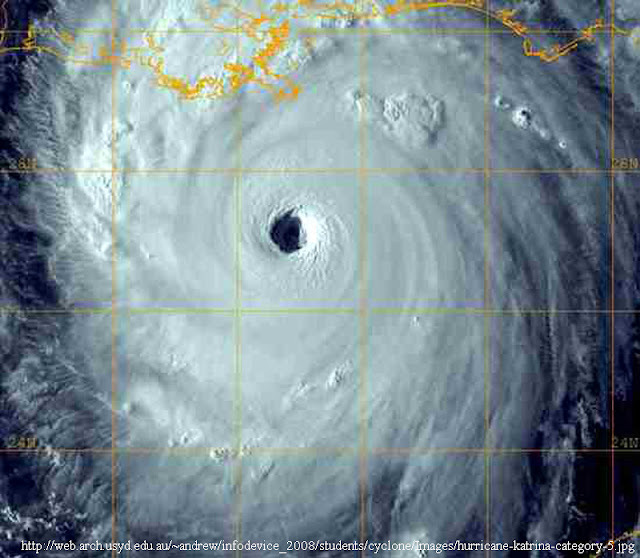 Remember Katrina’s visit to New Orleans? New Orleans; sa Amerika ‘yun ha! Who in his right mind wants to be a weatherman???!! !